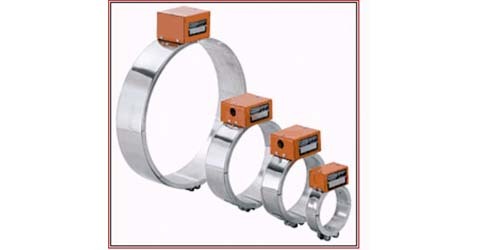 IQS Directory provides a detailed list of heating coil manufacturers and suppliers. Find heating coil companies that can design, engineer, and manufacture heating coils to your specifications. Peruse our website to review and discover top heating coil manufacturers with roll over ads and complete product descriptions. Connect with the heating coil companies through our hassle-free and efficient request for quote form. You are provided company profiles, website links, locations, phone numbers, product videos, and product information. Read reviews and stay informed with product new articles. Whether you are looking for manufacturers of hydronic reheat coils, parabolic heating coils, and platinum heat coils of every type, IQS is the premier source for you. Our outstanding heating coils come with a variety of benefits and we have over 60 years experience. We focus on the needs of our customers which means you are guaranteed to receive the most reliable heating coils on the market. Our heaters can be utilized for a variety of applications. If you are concerned with precision or durability then you can rest assured when you select us as your supplier. We are eager to assist you today! Since 1938, Tutco Heating Solutions Group has grown to become the world’s largest manufacturer and supplier of open coil heating elements. Our experience in a multitude of industries, strategic business partnerships, and access to state-of-the-art manufacturing technology has allowed us to become a leader in our industry. We recognize the importance of efficiency and productivity in today’s business environment, and our heating coils are built to last. Contact Tutco to learn more! Are you in need of exceptional heating coils? We manufacture coils that are second to none. These systems will exceed your expectations and we will diligently process all your orders right away. We have a full spectrum of heating solutions to pick from and we are willing to work with you to determine the most efficient productions for your facility. If you have any questions then please give us a call today! Heating coils are tools that are used to generate heat; they are used in industrial, commercial and consumer appliances and equipment for an extensive variety of applications. Heating coils function by converting electricity to heat. Heating coils are among the most widely used heating element varieties. They are used to generate heat in buildings, equipment and in many other applications. Space heaters, toasters, dish washers, electric ovens and many other appliances involve the use of heating coils of various shapes, sizes and heat generation capacities. Consumer and industrial ovens can be equipped with ceramic-coated heat coils, which affect heat generation and protect the coil from dripping grease or other hazards. Industrial dryers, clothing dryers, hair dryers and many other kinds of moisture removal and heat generation equipment are equipped with heating coils. Some furnace configurations employ a combination of heat coils and air blowers to heat air and then transmit it through ducts. Heating coils are also very important to a large number of industrial equipment and processes. Metallurgical analyzers, plastic injection molding machines, holding tanks, paper processing equipment, oil reclamation equipment, blow molding machines, extruders, packaging equipment, bag sealing machines, hot stamping equipment, and labeling machines all can make use of heating coils. Coil heating elements are available in many shapes and sizes. They can be bent to a custom size or shape, or they can be purchased in ready-made shapes; they can be round, coiled and spiral wound. Different shapes are appropriate in different situations. Spiral wound elements are useful in confined spaces. Star wound coils are placed in ducts and pipes in order to cause fluid turbulence. Because of the wide variety of contexts in which coil heating elements are employed, a wide variety of coil configurations is necessary. Holding tanks, extruders, blow molding machines, bag sealing and hot metal forming punches all use coil heaters, and each requires its own special coil configuration. Operating on AC voltages, coil heaters provide a uniform heat pattern over a wide area at temperatures of up to 1200° F. They can be annealed and made of brass, aluminum, copper, iron nickel or steel with ceramic, fiberglass or mica insulation. Depending on the metal, some coil heaters are corrosion resistant and may be immersed in heated substances or used in cryogenic applications. Correctly pairing coil heating elements with their applications is essential to the safety and effectiveness of those applications.